In order to purchase streams you must create an account with Psychotherapy.net. If you already have an account and want to purchase Individual License streams, you can use that account. If you are an organization wanting to purchase Group License streams to be viewed by faculty, staff, students, you must first create an Institutional Account with Psychotherapy.net. You can purchase streams in combination with DVDs and any other product. You will be charged the shipping price for the other products. You cannot purchase Individual and Group License streams in the same account. You must create two separate accounts. 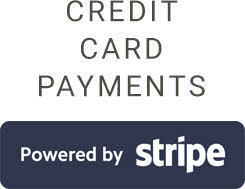 We accept credit cards as well as Purchase Orders. You can view video streams on a MAC or Windows computer. Please note however that the viewing quality of the streams is dependent on the speed of your Internet connection. We recommend broadband Internet speeds of 1.5 Mbps minimum, although our Adaptive Bit Rate (ABR) Delivery accommodates a range of viewing conditions by delivering higher qualities to faster internet connections and lower qualities to slower internet connections based on connection and cpu speed. Our video streaming platform works with any modern browser with slightly different experiences depending on the browser used. Flash is required for viewing on a computer, but not mobile or tablet. Videos can also be viewed on Ipad, but not all functionality of the streaming platform are supported. Videos cannot be viewed on other non IOS mobile devices. Streaming is available in all countries. All of our videos come with a synchronized transcript that allows you to follow the text as you watch the video, as well as English subtitles. Create an account, add selected streams to your shopping cart and check out. You will be able to access and view your videos after completion of your order. Videos are not downloaded to your computer, but can be viewed via our Video Streaming platform. The platform enables faculty, staff, students to stream our videos anywhere, anytime. Upon registration with Psychotherapy.net, we will provide you with a url dedicated to our organization that will let your users access the platform. All institutions must request and sign a contract with us prior to purchasing video streams. The contract allows us to set up your institution’s profile in our system, in particular to determine your pricing level and mode of access of our platform. To request a streaming contract, click on the link from any Order box on our video pages and follow the prompts. If you already have an account with us, simply log in into our system first before submitting the form. Filling out the form in its entirety will expedite our approval process. Number of Users: This is the estimated number of people that will view the videos, in any type of setting (including group setting). For example, if you are a University with 1000 students but only 30 students participate in your psychology program and are likely to watch our videos, you should indicate 30 as estimated number of users. The estimated number of users helps us determine your pricing level. We will communicate this pricing level to you during the contract finalization process. For most videos, our standard prices start at $150 per video for 1-year licenses. 3- year licenses are offered at a significant discount. Surcharges will apply for large number of users and multiple locations. Very small organizations can benefit from discounted prices. Organizations interested in purchasing licenses for our whole video collections should contact us for custom pricing. IP Address: if your organization has a static IP address, this will allow all members of your organization to access our Video Streaming platform provided they are at the location associated with the IP address(es) you provided us. Simply enter the allowed IP addresses in the Contract request. We will provide you with a url specific to your organization that you will be able to use to access our platform from your campus/location. Proxy Server: if your organization has a Proxy Server, this will allow members of your organization to access our Video Streaming platform on and off campus. Simply post the custom url we will provide you on your Intranet and direct users to click on that url after authenticating themselves via the Proxy Server. If you select this option as your authentication option, provide us with your IP address ranges for IP Authentication. Username and Password: If none of the options above is available to you, you can select Unique id and password. We will provide you with a custom url, a username and password that you can forward to members of your organization that are allowed to access the Video Streaming platform. Our Video Streaming platform offers a very convenient way for faculty, staff and students to view videos anywhere and anytime. - Organizations with multiple locations do not need to share DVDs. Our platform can be set up so multiple locations can access the videos purchased centrally. You can search the transcript for any word. The search result display bar allows you to visualize the locations in the video where the word is present and jump to that segment in the video. The transcript can be downloaded and printed at any time. Users can create clips of any length by simply selecting the corresponding text in the transcript and clicking on the icon “create clip”. Clips will be stored in the video library and can be accessed by any user, allowing faculty to select clips to be shown in class or students to use clips in class presentations. Most of our videos come with an Instructor's Manual including suggested discussion questions, role plays and additional resources. All manuals are downloadable in a pdf format. You can upgrade from an Individual Stream to a Group License Stream by first requesting a Streaming contract from Psychotherapy.net (you can do so from any Order Box on Video pages). Upon approval of your streaming contract, we will create a Group Account. If you want to upgrade a specific stream from an individual license to a group license, please let us know. You will only be charged the price difference between the 2 licenses. All of our videos come with a synchronized transcript that allows you to follow the text as you watch the video, as well as English subtitles. You can see if a video is subtitled by clicking on the Specs tab below the Product Description on our site. To view the subtitles, click on the CC icon in the player. We do not allow returns on Streams purchase. CE Courses are available for viewing streams. Simply purchase the corresponding CE Course. If you are an organization interested in purchasing CEs for your staff, please contact us and we will set it up for you. Note that we occasionally conduct some maintenance on our videos, which can result in a few hours of unavailability of a particular title. Check back in a few hours to see if this problem has been resolved. If you have two accounts, a group and an individual account, make sure you are logged into the correct one. If you have a Group Account, make sure that the license for your streams has not expired by logging into your account and checking the Stream tab. The password may have changed, please contact your administrator to find out. Have you signed into the Proxy Server? If you are a user of the Streaming Video Platform, your ability to access the Video Streaming platform depends on the method of authentication chosen by your organization. In case of difficulty, please contact your organization administrator for help. If you organization has chosen a method requiring a Username and Password, please note that these are changed every 6 months, and make sure you have the latest information.